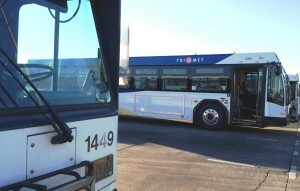 Starting today, more new buses will begin hitting the streets as TriMet deploys the first of 30 new buses. Known as the 3300 series, the buses are arriving right on the heels, or bumpers, of the 3200 series. Since the spring, 60 of those buses have gone into service. While the 3300 series buses have the same modern look, what’s under the hood is new and exciting. Once all of the new 3300 buses are in service in the next few weeks, TriMet’s fleet will have an average age of 12 years old, will be 85 percent low floor accessible, and 95 percent will be equipped with air conditioning. The two main differences in the new 3300 buses over those placed into service earlier this year, the newer buses have a different electronic cooling package and what’s called a super capacitor. 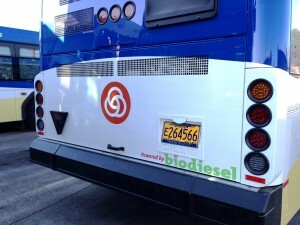 TriMet will study the new cooling system to see if it’s more cost effective and a better option for our future fleets. The new super capacitor replaces two of the four batteries and is dedicated to starting the engine which will improve battery life, vehicle reliability and reduce labor. Bus operators had a hand in improving the operating experience with recommendations in ergonomics including a smaller steering wheel and easier to reach switches. The 3300s come from the same manufacturer of our other new buses, Gillig in Hayward, California. The cost is $421,655 per bus. The new 3300 series will replace some buses that were bought in 1990, continuing our focus of taking our oldest buses off the road. Within the next 16 months, TriMet will have gone from having one of the oldest fleets in the country to matching the industry standard of averaging eight-year-old vehicles. TriMet has ordered 34 new buses to arrive early next year. 22 of those new buses will be 29-feet long replacing the high-floor 30-foot buses purchased in 1992 to operate on routes where streets cannot accommodate our larger buses. 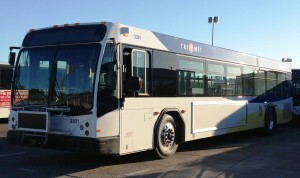 TriMet will also put into service four new hybrids with even greater electronic technology onboard.